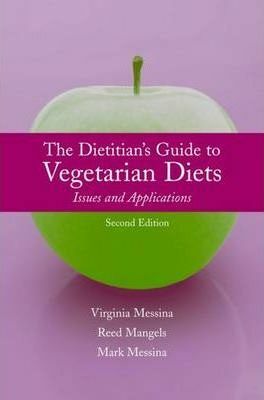 The Dietitian’s Guide to Vegetarian Diets, Second Edition highlights the trends and research on vegetarian diets and provides practical ideas in the form of “counseling points” to help dietitians and other health care providers convey information to their clients. The text presents vital information on vegetarian nutritional needs, healthier and more satisfying diets, and guidelines for treating clients of all ages and clients with special considerations, such as pregnant women, athletes, and diabetics. New to the Second Edition n	New chapter on macronutrient balance in diets takes an in-depth look at carbohydrates, fats, and proteins in the diet. n	Extensive coverage of Soyfoods and phytochemicals.